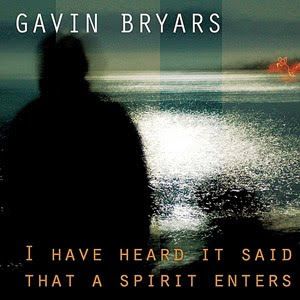 Gavin Bryars yet again delivers mellow sounds for late night listening. This disc, released on his own GB Records label, documents the composer's long-standing relationship with the Canadian musical community. The recordings were made in 2002 in Vancouver with the now defunct CBC Radio Orchestra, their posthumous utterances all the more poignant for their having been the last radio orchestra in North America. Bryars has a knack of taking diverse ideas and stylistic sources and combining them into something that is distinctly his own. So here we have three laid back jazz numbers, a violin concerto, a rendering of a fragment from Wagner and an extended jazz improv for double bass. A textural consistency runs through these diverse projects, which on the whole derives from the string backing. Being a double bass player himself (he is soloist on 'By the Vaar'), Gavin Bryars knows all about the subtle effects that can be achieved through small changes in string ensemble. The Violin Concerto is set against a continually evolving background of the orchestral strings placing and removing mutes. And in the Porazzi Fragment, Wagner's similarly acute sensibility to the subtleties of string ensemble is taken as the starting point for another exploration of the infinitely varied possibilities of muted and semi-muted string colour. Strauss' Metamorphosen is cited by the composer as a model for this work, but the differences are more instructive than the similarities. Strauss always maintains a focus on melodic line, and even the most harmonically nebulous passages always form part of a coherent and goal oriented tonal structure. Bryar's approach to historical quotation is much closer to Berio's, creating an aural environment for the borrowed ideas rather than extending their inner musical logic. The husky voice of Holly Cole sets the Three Canadian Songs apart from the other works, all of which focus almost exclusively on string textures. The songs see Bryars crossing over, all the way to the other side. The other side in this case is sophisticated jazzy soul, the only concession to the 'classical' context the orchestral backing. It is all very elegantly done, and Cole is the ideal singer for the job, but you get the impression that Bryars is still more interested in the minute detail of the string ensemble than he is in what the singer is up to. So here again we meet complex combinations of muted and unmuted, and of pizz and arco. Gavin Bryars' appearance as soloist on the last track is a nice touch, and a reminder of how deep jazz runs in his musical psyche. Like all of Gavin Bryars' music, the works on this disc represent something deeply personal for the composer. In this case, his relationship with Canada provides the motivation, but you don't need to get bogged down in the autobiographical dimension to enjoy the results. An open mind is important; Bryars is as into jazz as he is Wagner, and he expects similarly all-embracing tastes from his listeners. If you can manage that, this is well worth a listen.